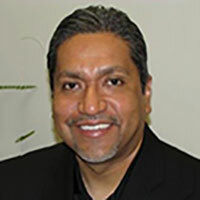 Rich Garcia is Assistant Vice President – Human Resources for State Farm Mutual Automobile Insurance Companies. His role as Assistant Vice President includes responsibility for HR representatives supporting Claims and the HR Business Office. He has more than 26 years of experience with State Farm. Rich joined State Farm® in 1990 and has served in a variety of leadership positions including Claims, Underwriting, Agency, and Human Resources. He assumed his current position in 2013. He received a bachelor’s degree in science from Emporia State University. He earned his Chartered Life Underwriting (CLU) designation in 2011 and is currently working towards his Chartered Financial Consultant (ChFC) designation.